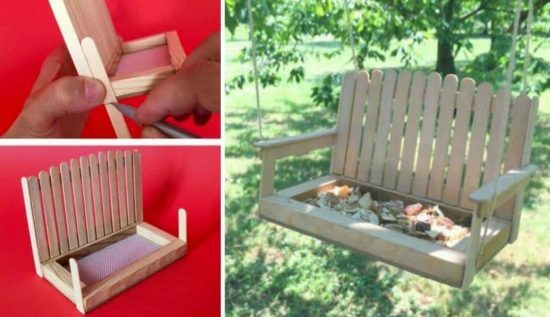 You will be thrilled to see what you can turn your Popsicle Sticks into. 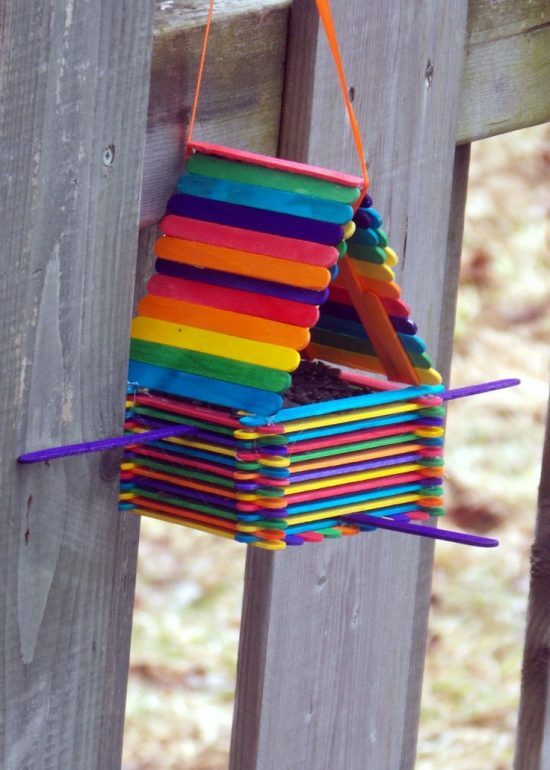 These DIY Bird Feeders are amazing and just so easy to make. Watch the video tutorial too. 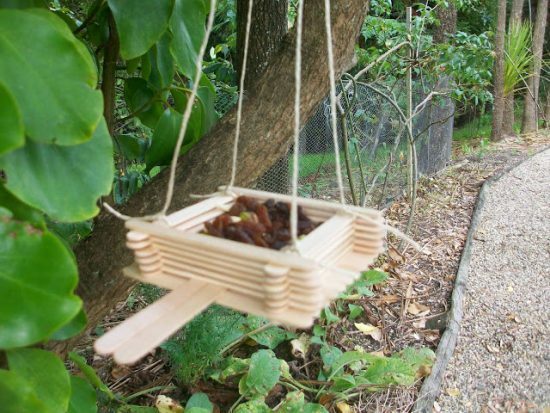 How cute is this Swing Bench Bird Feeder and you can make it out of Popsicles and small scraps of wood! It’s just one of the ideas featured in our post for you. You’re only going to need a few items for this project and you will love the results. So will your feathered friend’s no doubt! You can hang it in your tree or it makes a great gift for family and friends. 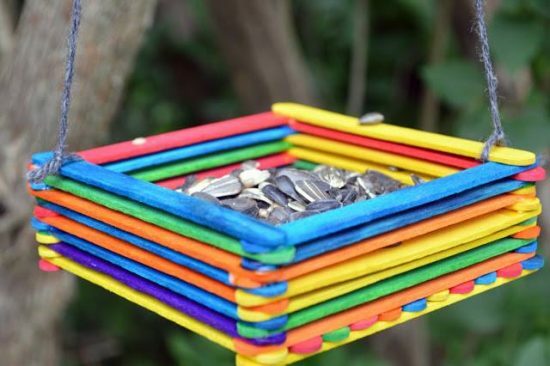 The kids can even help you out with this project. All you will need is some glue, a staple gun, some clamps and staining oil to give it a weatherproof finish. 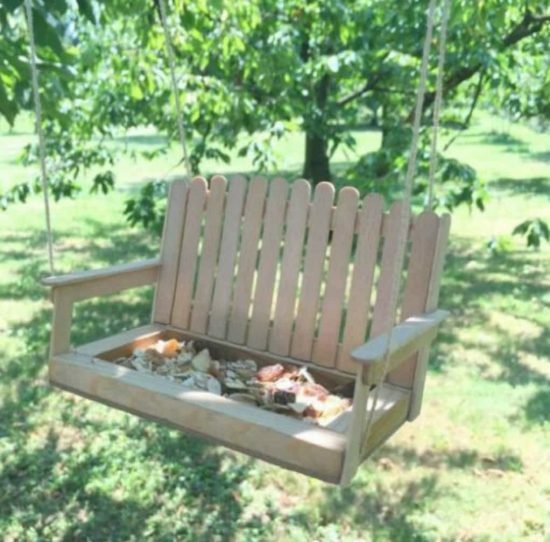 The Popsicles are used for the back of the swing and the armrests. It’s an easy DIY that you can make in under an hour. 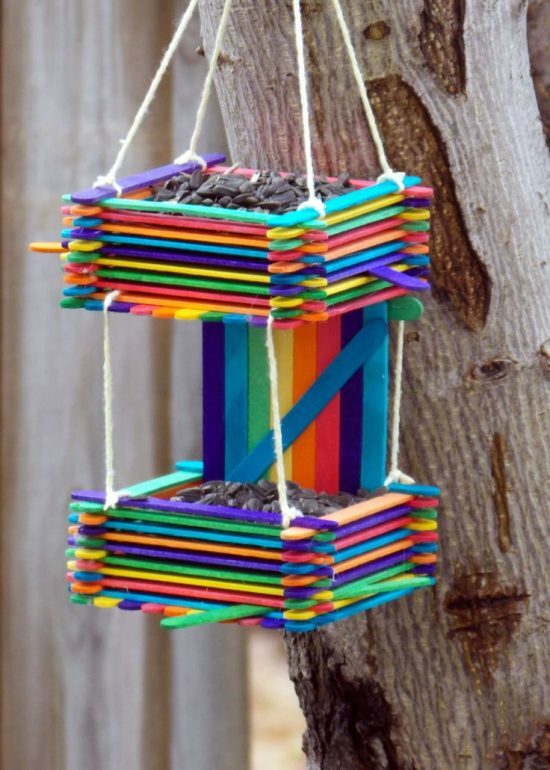 A Popsicle Stick Bird Feeder will cost you next to nothing to make and you can leave them natural or paint them up. They will look great hanging out in your garden and your feathered friends will really appreciate them!